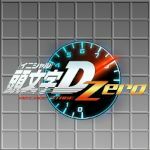 I was going to submit this game myself today, but nevermind Burning wheels (otherwise known as Crash Time II) is the sequel to Crash Time and once again predominately plays the same, with a host of driving missions under the Alarm Fur Cobra license. This version introduced a free roaming mechanic and improved graphics. No problem, you can continue with it. Are your images cropped or just largely zoomed in? They´re cropped, except the truck´s pics, which are sightly zoomed in, because they were so small at the moment of taking them. 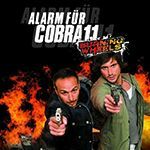 I love Alarm Für Cobra 11 show and the games, but unfortunately those games does not available for PS2 and my graphic card for my PC is not really decent. And this game is very great, it´s not like the old ones, this is a different thing, it won´t disappoint anybody, i promise. I thought it was quite similar to Crash Time myself, but the graphical overhaul and free roaming gameplay were welcome additions. Yes, and you can set lower graphics for things like the grass or the reflections if it go slow. 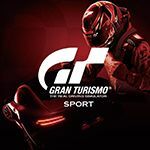 Is it possible to install this game for my system as stated below? If yes, I will buy this game, seems nice. There is a civilian Monsun used for drone explosions in one of the tutorial missions. Wish they kept the Monsun, 'twas my my favourite car in Crash Time 1. For anyone interested in buying, the first Crash Time, while somewhat hard to find, is just a bit better than this one. Despite the lack of free roam (though there are loopholes to getting free roam), the gravity in this one was altered so that vehicles, while in the air, automatically stabilize 90% of the time. That means the physics feel a bit tight, and crashes aren't AS fun. Either way, these games are both good, and I'd recommend both. SuperLemonDrop wrote Wish they kept the Monsun, 'twas my my favourite car in Crash Time 1. How does one free roam in CT1? I don't have the PC Edition. CITY: This part is quite hard. You need to unlock the secret case, "Code 9807", by completing all of the cases on hard. Once you have unlocked the case, finish the first mission. 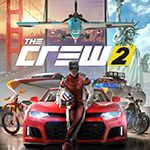 On the second mission, you can then drive around without going to any checkpoints, and free roam. The catch is, you can only use the Semir Plain, and there's some A.I. MPV following you, though he isn't too annoying. AUTOBAHN: Here's the easy part. Start the first mission in the first case, and don't arrest the speeder. Just free roam. The catch for this one is, you can only use Chris plain here. Did anyone notice that all the cars from BW and present have Mercedes W211 interior textures? That's Synetic for ya. Always recycling : P Though to me it comes off as more "charmful" than annoying. Ben Jäger once broke the fourth wall in the final mission. He said: "Yee-haw! I came, I saw and I kicked his ***! Oops, excuse me, this is a family game." Crash Time 4 & 5 use PG-13 profanity, so those are not family games.